I wish you all a very Happy Sarikamish! I am proudly commemorating the 96th anniversary of an epic Russo-Armenian military campaign that inflicted upwards of 100,000 casualties upon Ottoman army regulars at the battle of Sarikamish. Imperial Russian forces supported by a significant number of battle-hardened Armenian volunteers from the Caucasus preempted an Ottoman strike against the Russian Empire by advancing west towards Erzerum from the Russian held Armenian city of Kars. It was late December 1914, the initial stages of the First World War, when the two imperial armies met on the snow covered mountainous landscape at Sarikamish on the outskirts of Kars. When the historic battle was over some four weeks later, the entire Ottoman army under the leadership of Enver Pasha lay decimated. Thousands-upon-thousands of frozen Ottoman corpses lay strewn across the snow clad battlefield. According to some accounts, out of a force of nearly 100,000 Ottoman troops about 80,000 is said to have perished, the rest being either wounded or taken prisoner. The Russian force that defeated the Ottoman army at Sarikamish was essentially the same contingent that went on to liberate the ancient Armenian cities of Van, Erzrum, Artvin and Trapizon from the bloody clutches of Turkish and Kurdish tyrants. The Ottoman defeat at Sarikamish had finally opened the gates to historic Armenia. By late 1916, a significant portion of Ottoman occupied Western Armenia was liberated. Russian successes in Western Armenia enabled a significant portion of the region's native Armenian population to escape the genocidal campaign of Turks. After suffering several hundred years of Turkic oppression and periodic massacres, Armenians were finally beginning to see a light at the end of the tunnel. Then, suddenly, fate struck. Alas, the sun was not to shine on the Armenian Highlands. The imperial army of Czar Nicholas II was forced to abandon its positions in Western Armenia by 1917 when the Russian Empire had suffered a devastating defeat at the hands of Germany on European front and the initial stages of the Bolshevik revolution had began to create serious sociopolitical unrest within the country. With the Russian Empire falling apart as a result of its defeat in Europe and due to the onset of the Bolshevik revolution, what followed was the darkest page in Armenian history. With the abandonment of historic Armenia by Russian forces, using the pro-Russian sentiments of Caucasian Armenians as a pretext, Turks began to intensify their genocidal campaign against their Armenian subjects. It is importance to note here that this military defeat that the Ottoman army suffered at the hands of the Russian Empire during 1915 and 1916 may have contributed to the paranoia of Ottoman Turks towards the hapless, semi-assimilated Armenian population of the Ottoman Empire. Let's bare in mind that as Ottoman Minister of War, Enver Pasha, who was also one of the principle architects of the Armenian Genocide, was directly leading the ill-fated Ottoman army at Sarikamish and he is said to have barely escaped with his life. Nevertheless, had it not been for the Jewish-led and foreign-funded Bolshevik revolution in Russia, I strongly believe that the western reaches of Armenia today would have at the very least included Van and Erzerum - and there would not have been a bloody tragedy known today as the Armenian Genocide. How unpredictable politics and history can be and how unforgiving and cruel it has been for us Armenians for a thousand years. Armenians can draw many conclusions and learn many lessons from these historic events. Having said that, it must also be mentioned that our shortsighted and genocide obsessed compatriots in the diaspora are afraid of discussing these kinds of historical information simply because of fears that doing so might undermine genocide recognition efforts - as if the decades long, now standard modus operandi of our "Հայ Դատ" has bared any fruits. In my opinion, our decades long obsessions with the genocide has only managed to create several generations of insecure, emotionally scarred and self-hating Armenians with victim mentalities. Beyond enthusiastically acknowledging that Armenians were victims of a genocide (and of course the first Christian nation), the typical "self-respecting" Armenian in the diaspora today knows next to nothing about Armenia's vastly rich national heritage. Insecure and ignorant nations that beg at the feet of others (especially reptilian Western politicians) can never accomplish anything in realpolitik - nor will they be truly respected by the international community. Our hopelessly naive compatriots still talk about "justice" and "international law" being on the side of Armenians - but they utterly fail to realize that as long as we don't have the military and/or financial power to push our weight upon the international political stage, we shall remain forever worthless in the eyes on the international community.It is down right delusional to think that Ankara will return historic Armenia to its rightful owners or pay the tens of billions of dollars in reparations as a result of "recognition" and/or "international pressure". All the talk we constantly hear about "treaties" or "international law" being on the side of us Armenians is silly to say the least. Such nonsensical talk only serves to distract us from placing our pan-national emphasis on strengthening the Armenian homeland we have today. If Western Armenia is to get liberated someday, it will only happen as a result of Russian-Armenian forces again marching westward from the south Caucasus. This is the reality we Armenians must learn to recognize. And this is the long-term pan-national agenda we Armenians must train ourselves to work on. International law is made by the powerful to control the weak. We must realize that only the strong can impose their version of history upon others. Only the strong can right the wrongs of history. Only the strong can enjoy a prominent position on the negotiation table. Only the strong are invited to lavish banquets as honored guests. We must also not forget that for thousands of years politics has been governed by a very natural yet simple law - might makes right. As long as we Armenians continue thinking of ourselves as victims and continue acting like victims - we shall forever remain victims! We Armenians desperately need to place more emphasis on the heroic aspects of our vastly rich national history. We Armenians desperately need to better understand our national history. We Armenians desperately need to better understand ourselves. We Armenians desperately need to better understand the harsh realities of the political world we live in. It's high time we collectively strengthened the Armenian homeland instead of undermining it in our pursuit of outlandish Western fantasies. Therefore, let's put aside our Washingtonian wet dreams, self-pity and disporan mentalities and let's properly salute the heroic participants of the Russo-Armenian contingent at the battle of Sarikamish - an epic battle where brave Armenian warriors from the Caucasus together with their Christian Orthodox Slavic brethren from the north brought the mighty Ottoman army to its knees and in doing so liberated Western Armenia! And let's hope that their blessed memory may inspire a new generation of brave warriors. The reader may be interested to know that the battle of Sarikamish has been turned into somewhat of a holiday in Turkey. The Turkish military contemplatively commemorates the historic event that took place between December 1914 and January 1915. Therefore, in my humble opinion, I think it would be very appropriate, I would even say polite, to wish all Turks a very Happy Sarikamish! And let's collectively pray that Sarikamish II (of course without the first one's Bolshevik ending) is not too far down the Anatolian road. Following the informative essay about the Battle of Sarikamish appearing directly below this commentary, I have also posted an article on the little known participation of Russian troops in Armenia's war of independence that took place during May, 1918. Russia viewed the Caucasus Front as secondary to the Eastern Front. Eastern Front had the Russian manpower and resources. Russia had taken the fortress of Kars from the Turks during the Russo-Turkish War in 1877 and feared a campaign into the Caucasus, a Caucasus Campaign, aimed at retaking Kars and the port of Batum. The Ottoman generalship and organization were negligible compared to the Allies. A Caucasus Campaign would have a distracting effect on Russian forces. The plan found sympathy with German advisory that a success in this region would mean a diversion of Russian forces to this front from the Polish and Galician fronts. Germany supplied the missing resources and the Ottoman 3rd Army's manpower was used to achieve the desired distraction. Strategic goal of the Caucasus Campaign was set to retake Artvin, Ardahan, along Kars, and the port of Batum. For a longer term goal, Enver hoped a success would facilitate opening the route to Tbilisi and beyond with a revolt of Caucasian Muslims. The Turkish — or rather German — strategic goal was to cut off Russian access to the hydrocarbon resources around the Caspian Sea. The long term goal made British vary. The Anglo-Persian Oil Company was in the proposed path which had the exclusive rights to work petroleum deposits throughout the Persian Empire except in the provinces of Azerbaijan, Ghilan, Mazendaran, Asdrabad and Khorasan. In 1914, before the war, the British government had contracted with the company for the supply of oil-fuel for the navy. The headquarters of the 3rd Army was located in Erzurum under the command of Hasan İzzet Pasha. On October 30, 1914, the 3rd Army headquarters was informed by High Command in Istanbul about an exchange of fire during the pursuit of Goeben and Breslau in the Black Sea. 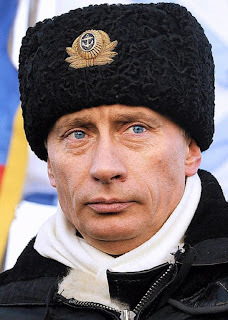 High Command expected the Russian Army to cross the Ottoman border at any time. The Bergmann Offensive (November 2, 1914 - November 16, 1914) ended with the defeat of Russian troops under the command of Bergmann. The Russian success was along the southern shoulders of the offense where Armenian volunteers visible (effective) and taken Karaköse and Doğubeyazıt Hasan İzzet Pasha managed to stabilize the front by letting the Russians 25 kilometers inside the Ottoman Empire along the Erzurum-Sarikamish axis. The war minister, Enver Pasha, devised an operation plan while he was at the Department of War in Istanbul. His strategy based on German principles copied from Napoleon. Enver's plan involved a single envelopment using three Corps. On the right flank, XI Corps would fix the Russians in place and conduct feint attacks. In the center, IX Corps would fight in the direction of Sarikamish Pass. Hafız Hakkı’s X Corps, which was to be on the left flank, would drive to Oltu, cross the Allahüekber Mountains, cut the Kars road and drive the Russians to the Aras Valley, where the Russian forces would be destroyed by all three Corps attacking in total harmony. 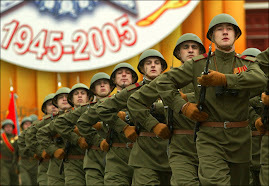 Meanwhile a detachment unit under Stange Bey would conduct highly visible operations to distract and pin Russian units. The success depended on these troops arriving at their specified objectives at the correct moment. The Russians fulfilled the first part of this strategy with the Bergmann Offensive by Russian forces concentrating at Sarikamish and Köprüköy. Hasan İzzet Pasha was not in favor of an offensive action in the harsh winter conditions. He was planning to remain in defense. 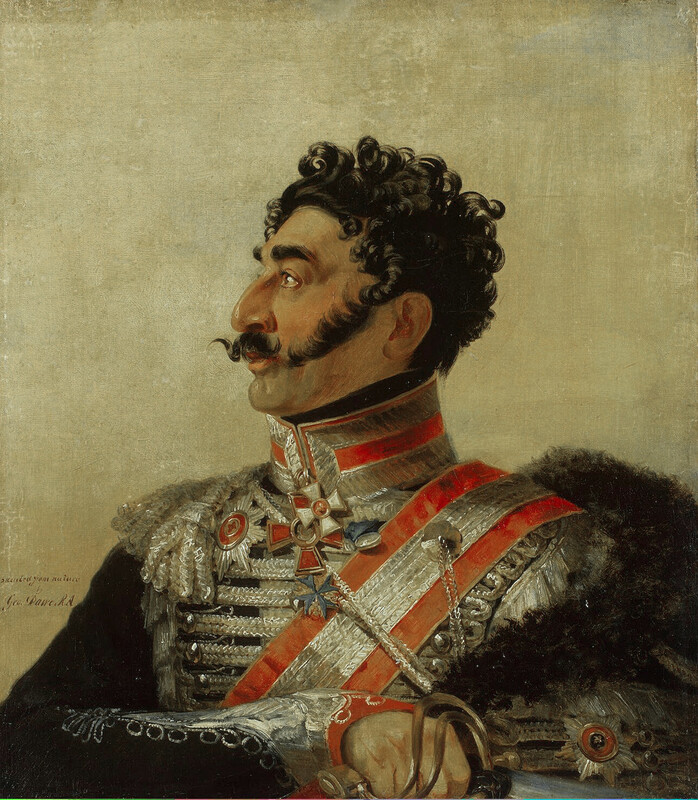 He wanted to pull the Russians to the Erzurum Fortress and launch a counter attack at the right time. Assistant Chief of Staff Colonel Hafız Hakkı Bey was sent to replace the commander of X Corps Ziya Pasha to energize the 3rd Army. After initial exchanges with Hafız Hakkı, on December 18, Hasan İzzet, whose release from the command was signed on December 14 by Enver, told to Enver: “We have to consider 8 or 9 days for a large scaled encircling manoeuvre. However, during this time the XI Corps, which will remain at the front, might be jeopardized. Even if we execute the manoeuvre with two corps, they will probably face difficulties against the enemy.” Enver Pasha wanted his plan executed through a winter offense. He decided to take in the charge. He left Istanbul with General Bronsart von Schellendorf and the head of the Operations Office Lieutenant Colonel Feldmann. They arrived in Erzurum on December 21. Senior Turkish commanders opposed the forced resignation of Hasan İzzet the Commander of the 3rd Army due to his rejection of the plan. The total war zone was nearly 1,250-1,500 kilometers (776-932 miles) wide from Black sea to Lake Van, which made the military concentration difficult. The operation executed at a plateau averaging 1,500-2,000 meters (5,000-6,500 feet). The main difficulty about the region was the roads. The transportation infrastructure on the Ottoman side was far from adequate. Russia's main advantage was the railway up to Kars including a terminal at Sarikamish. The railway was 24 kilometers (15 miles) from the border. The only way for an army through the Caucasian heights was the high mountain passes in which were lied the cities Kars and Sarikamish. Beyond, the upper valleys of the Aras River and Euphrates extended westward. Everywhere else was the paths in tracks which were impenetrable to artillery. The forces were concentrated about 80 kilometers (50 miles) on each side of the border at the fortresses of Kars (Russian) and Erzurum (Ottoman). The 3rd Army under the command of Enver Pasha was composed of the IX, X and XI Corps. 3rd Army's headquarters and the IX Corps were located in Erzurum. The X Corps was stationed in Sivas, whereas the XI Corps was in Elazığ (Mamuretülaziz). A detachment unit under the command of German Stange (lieutenant colonel) was established from the 3rd Infantry Division located at Erzurum Fortress to reinforce the offense and pin down the Russians. This detachment unit was originally stationed in Thrace; consisting of two battalions of the 8th Infantry Regiment and two artillery. The fighting power included 83,000 regular troops, reserves, and personnel of the Erzurum Fortress added to 118,000. The total manpower including transportation units, depot regiments, and military police was 150,000. There were 73 machine guns and 218 artillery pieces. Ottoman forces were inadequately prepared for the campaign. Two divisions of the IX Corps began a long trek with no winter clothing and only dry bread and olives for rations. 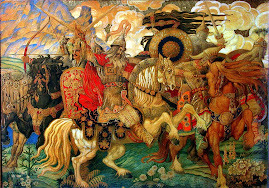 The Russian Caucasus Army was a well-equipped 100,000 troops. 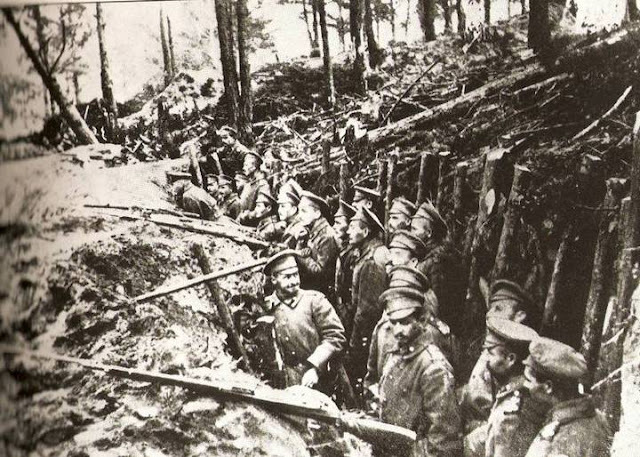 The Russians redeployed almost half of the Caucasus Army to the Prussian front due to the defeats at the Battle of Tannenberg (August 23 - September 2, 1914) and the Masurian Lakes (September 9-14, 1914), leaving behind just 65,000 troops. To remedy these troop movements Count Illarion Ivanovich Vorontsov-Dashkov consulted with the Mayor of Tbilisi Alexandre Khatsian, the primate of Tbilisi Bishop Mesrop, and the prominent civic leader Dr. Hakob Zavriev about the creation of Armenian volunteer detachments. 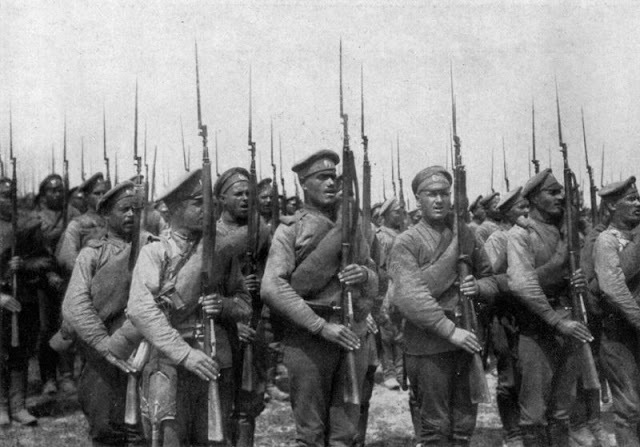 The Russian Armenian reservists had already been drafted into the regular armed forces and sent to European theatre of World War I. The volunteer units would make up of Armenians who were not citizens of the empire or not obligated to serve. Originally, there were 4 volunteer battalions created. Along the Kars Oblast, the 3rd battalion commanded by Hamazasp (Srvandztian) and 4th battalion by Keri (Arshak Gavafian) operated on the front facing Erzurum between Sarikamish and Oltu. 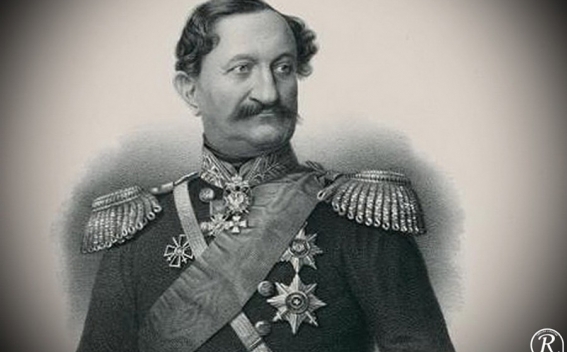 The Commander-in-Chief of the Caucasian Military District (Caucasian Army) was Illarion Ivanovich Vorontsov-Dashkov. Effective command laid on Inf. General Aleksandr Zakharevich Myshlayevsky who was originally a military historian graduated from Imperial General Staff Academy. General Nikolai Yudenich was the Chief of Staff of General Myshlayevsky. Hafız Hakki was at the left flank. His order was to move the IX and X Corps to Sarikamish and Kars. He contemplated a two step plan. A sudden initial attack ("major offensive") and second step with both Corps proceeding at full speed towards the Oltu. He expected the assault at İd to be concluded by the afternoon of December 22. Then the Corps would march 30 kilometers a day and arrive in the Kars-Sarikamish line by December 25. For the movement on the extreme left two divisions of the Stange regiment had been sent by sea from Constantinople to Trabzon. On early December 22, Hafız Hakkı ordered his troops to move forward. They engaged in a brief skirmish against a Russian brigade commanded by General Istomin, once these divisions reached to Oltu. The skirmishes at Oltu ended the next day after 4 artillery guns, 4 machine guns, and 1000 Russian troops were taken prisoner. On December 23, Istomin abandoned his position for the general direction of Ardahan. Hafız Hakkı sent 2 divisions to pursue Istomin. At the extreme left wing, the Stange Regiment, which had landed at Trabzon, was to move up the Çoruh valley towards Ardahan and across a pass of 2,4384 kilometers (8,000 feet) high. On December 24, Hafız Hakkı was well beyond Oltu after having marched a hard 75 kilometers in just over three days. However, they were not at Kars-Sarikamish line as it was planned. On December 25, Ottoman troops had been marching for 14 hours under heavy snow. The soldiers were exhausted, fatigued, hungry; the fear of frostbite and Russian machine guns were slowly being replaced by absolute indifference. On December 26, at the 18th hour of this march, in the early hours of the morning, the 91st Regiment of X Corps came under enemy fire. The Russians left the scene after nearly two hours of fighting. The regiment hit the road again. Soon a snow storm began. Under these conditions the 91st Regiment managed to reach Kosor in 21 hours after leaving Penek, a distance of just 8 kilometers. Other units reached their destinations at a similar rate. While Enver was ordering a night attack, elements of the X Corps were spending the night in the villages of Kosor, Arsenik and Patsik, which were 40, 35 and 30 kilometers from Sarikamish respectively. The Allahüekber Mountains were in front of these units. It would take them at least 2 more days to reach Sarikamish. The X Corps suffered a delay of 24 hours in the Barduz Pass. This added an extra deviation from Enver's all-attack plan. In the Barduz Pass conflict 4th battalion of the Armenian volunteers lost 600 troops. The Stange regiment looked down to Ardahan. When the commander Malyshevsky arrived army headquarters in the Russian front line, he was almost in a complete panic. He gave the order for a general retreat. The process of withdrawing was to start on December 25 and 26. The Russians evacuated Sarikamish, leaving only 2 cavalry squadrons and 1,000 railwaymen to defend it. 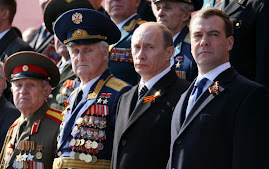 Not all Russian commanders were in a state of panic. The Russian army headquarters maintained a solid grip on the situation, the effective command and control never lost. General Yudenich, taking command of the II Turkestan Corps, decided to put up resistance. On December 28 the Russians held by the XI Corps at Khorasan. The IX Corps were at Sarikamish. The X Corps were threatening to pierce the Russian front along the Kars railway at east side. The Stange regiment was descending upon Ardahan at sixty miles north-east. The Enver's operational plan looked liked succeeded on the map. The ground situation was alarming. Ottoman forces were worn out, half starved, and short of guns and ammunition, for no transport on earth could cope with such a breakneck march. Enver Pasha thought that the Russians were retreating to Kars. In fact, it was actually an encircling movement. On December 29, the assault took place. The IX and XI Corps, totaling 12,000 men, began to attack Sarikamish. During bitter bayonet fighting, only 300 men succeeded in breaking into the city. At end of the day, they were driven off, losing 6,000 troops. Enver's positive mood replaced with disappointment when he received information that Russians were preparing to encircle his forces with a force of five regiments. This shock enabled Enver Pasha to see the truth. On December 31, the IX Corps was stuck in woods outside Sarikamish and down to some 2,500 men and 14 artillery guns and machine guns. On the same night bad news arrived from Bardız to Enver’s headquarters. The 32nd Division abandoned his positions to the Russians. This meant that Barduz and Kızılkilise roads were now in Russian hands. The Ottoman forces were inside a semicircle. Retreat through the open mouth of the circle would be the rational decision. Enver refused to lose momentum, and ordered his units to continue with the plan. On January 1, commander of the XI Corps pressed a frontal attack on Sarikamish lasting for the next 4 days; after that the heavy fighting began to lose momentum. Snow hindered advancing forces which were supposed to bring the relief. The IX Corps melted away on the way to Sarikamish. One of the divisions lost 40% of its strength in a snowstorm. The X Corps never come to the rescue. The 90% of X Corps was left on the slopes of Allahüekber Mountains. The XI Corps was fighting at the Aras region. A regiment entered Çerkezköy, only to be taken prisoner. According to schedule but exhausted, the Stange regiment entered Ardahan. The Russians were about to encircle the remaining forces. On January 2, Russian artillery fire caused severe casualties. Enver Pasha received two reports; one was from the chief of staff of the IX Corps, Lieutenant Colonel Şerif, and the other from Colonel Hafız Hakkı. Both reports were saying that they did not have any capacity to launch another attack. They were simply too weak. Enver responded to the units “the offensive is to go on at full strength.” This was later used as a sign of his denial. Later, Enver slowly accepted the truth and focused on securing the routes for retreat instead of insisting on new attacks to take Sarikamish. He combined the two corps there, renamed it the “Left Wing Army.” He promoted the Colonel Hafız Hakkı to Brigadier General and gave the command of the Left wing Army. On January 3, I Corps were driven out again back to the Choruk Valley, in which direction the remnants of the X Corps were also retreating. Hafız Hakkı, who was just promoted to be a Pasha, was hoping for reinforcements. He did not order his units, Left Wing Army, to retreat. He believed it could be still possible to take Sarikamish. Meanwhile, around 40 kilometres south to Sarikamish, the XI Corps led by Galip Pasha was renewing attacks on Russian lines in an attempt to relieve the pressure on the IX and X Corps positioned in front of Sarikamish. However, the Russians were advancing now. The circle was getting narrower. On January 4, Hafız Hakkı Pasha toured the front line. He said to İhsan Pasha that it is over and he was hoping that some of the troops left on Allahüekber Mountains could be still alive. On January 6, the 3rd Army headquarters found itself under fire. The Russians captured the entire 28th Division. The 17th and 29th Divisions were taken prisoner. 8 senior officers including İhsan Pasha surrendered to the Russians. Among the captives, 108 officers and 80 soldiers transferred to Sarikamish. Hafız Hakkı Pasha managed to save himself. He safely reached the headquarters of the X Corps. He found out that the IX Corps fell to the hands of Russians. He ordered a total retreat. On January 7, the remaining forces began their march towards Erzurum. On January 11, after four days of travel Enver Pasha and the German officers reached Erzurum. They stipulated in their original plan that the same route could be taken by the 3rd Army in two days. The transports dispatched from Constantinople which attempted to land troops and provisions at Trabzon were sunk by a Russian Black Sea squadron and the warships. The escorts SMS Goeben and TCG Hamidieh chased back to the Bosporus. On January 17, the remnants of Ottoman forces in woods outside Sarikamish were collected which signaled the end of final fighting in this front. On the other side, the Russian right wing cleared the Choruk Valley. Enver's project ended in failure after three weeks of heroic struggle amid high mountains and deep snowdrifts. For a time, at least, Russia was secure from attack in the Caucasus. Hafız Hakkı Pasha expected that the Russians use this success to capture the Erzurum Fortress. The 3rd Army immediately took reconstruction measures. This proved to be nearly impossible as all the local reserves depleted. On February 12, the young and energetic Hafız Hakkı Pasha died at the helm of the Army. Otto Liman von Sanders, who was asked before, rejected the position again. Mahmut Kamil Pasha took the command of the Army. The war minister Enver Pasha never commanded troops in any other battle again. The Ottoman 3rd Army started with 118,000 fighting power. It was reduced to 42,000 effective in January 1915. There are conflicting figures on Ottoman Casualties. Sources do not agree on what the final sum should include. The Turkish official history states; 32,000 KIA, 15,000 died sickness, 7,000 prisoners, 10,000 wounded, some 50,000 casualty. The casualties of the conflict escalated beyond the end of active period as the most immediate problem confronting the 3rd Army became the typhus epidemic. The epidemic was so bad that the commander of the Army Hafız Hakkı Pasha died of typhus just a few weeks later in Erzurum. TAF presents a round-up 60,000 throughout all the period of operation. Russians had 7,000 POW's, which includes 200 officers. These POW's were kept under confinement for the next three three years in the small town of Varnavino, east of Moscow on the Vetluga River. After the final days of the Czarist empire, these soldiers had chance to return ailing Ottoman Empire. Russian losses were 16,000 KIA and 12,000 died sickness, mostly due to frostbite. TAF sources report a rounded 30,000 without giving details on the breakdown of this number. During the battle the light infantry was used by both sides. The detachment Armenian volunteer units on the Russian side, and the detachment I Corps unit under control of Stange Bey bey provided skirmishing screen ahead of the main body of infantry, harassing and delaying of the enemy advance or preventing them escaping. The Ottoman detachment unit whence the Armenian volunteers operated and also those settlements left exposed by tactical withdrawals of the Russian forces and Armenian volunteer units. The Armenian detachment units are credited no small measure of the success which attended by the Russian forces, as they were natives of the region, adjusted to the climatic conditions, familiar with every road and mountain path, and had real incentive to fierce and resolute combat. The Armenian volunteers were small, mobile, and well adapted to the semi-guerrilla warfare. They did good work as scouts, though they took part in many severe engagements. 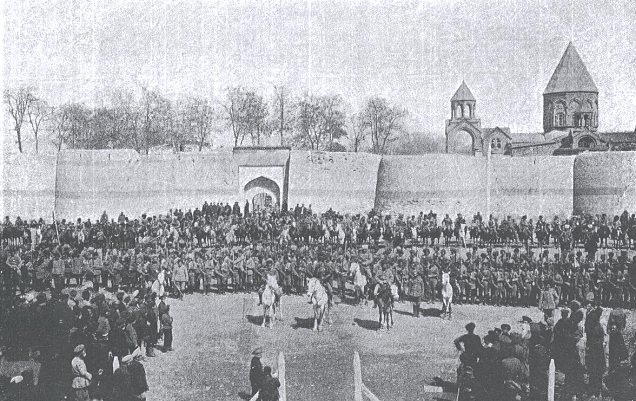 Armenian detachment battalions challenged the Ottoman operations during the critical times: "the delay enabled the Russian Caucasus Army to concentrate sufficient force around Sarikamish". Martin Gilbert in The First World War states that in search of allies against the Turks, the Tsar visited the "Caucasus front" on December 30, telling the head of the Armenian Church that "a most brilliant future awaits the Armenians". With these words, the fate of hundreds of thousands of Armenians was endangered, as Ottoman Empire saw in its own large Armenian minority a source of fifth column activity, treachery and disloyalty, and did nothing to dampen anti-Armenian feeling. The relationship between the Armenians and the Ottoman Empire had already started to deteriorate after numerous massacres in eastern Anatolia during the 1890s. The Ottoman government claimed that it had a legitimate defense by sovereign state—at the moment of its greatest danger—against an actual or projected Armenian uprising in favor of Russia and Western Allied invasion of Ottoman heartlands. On his return to Constantinople, Enver Pasha blamed his failure on the actions of the region's local Armenians, initiating the repressive measures against the empire's Armenian population that were an early stage of the Armenian Genocide. 1915 ГОД. МОГЛО ЛИ БЫТЬ ИНАЧЕ? Николай Николаевич ЮДЕНИЧ (18 (30).07.1862 - 05.10.1933гг.) - русский военный деятель. Один из самых успешных генералов России во время Первой мировой войны, "носитель русской славы, не потерпевший ни одного поражения". Генерал от инфантерии Юденич мог не только стяжать лавры "второго Суворова", но и славу лучшего русского полководца ХХ века. Этот человек должен был стать кавалером ордена Св.Георгия всех 4 степеней. Таких в истории русской армии было всего лишь четверо: фельдмаршалы Кутузов, Барклай-де-Толли, Дибич и Паскевич. Генерал Юденич командовал в Первую мировую Кавказской армией, а затем Кавказским фронтом - единственным, где русская армия не узнала горечи поражения или отступления. Победы на Кавказском фронте сделали Юденича к 1917 году героем России. Но о нем в советское время писали только с уничижительными эпитетами, а о его славе и полководческом таланте молчали вовсе. По советским учебникам и монографиям получалась полная ахинея - что Кавказская армия сражалась без военачальников и при этом побеждала! Это замалчивание сделало свое черное дело. Сегодня мало кто знает, что именно благодаря Юденичу Российская империя должна была обрести проливы Босфор, Дарданеллы и Константинополь - Царьград, колыбель Православия, осуществить свою вековую мечту и великую миссию. До освобождения Константинополя от чужой и чуждой ему турецко-мусульманской оккупации оставались считанные дни. Судьба Турции была уже предрешена русским штыком - она должна была исчезнуть с Армянского нагорья и полуострова Малая Азия как чужеродный элемент, принесший коренным обитателям - армянам, грекам только лишь рабство, османское иго. Но... Антигосударственный переворот в России сделал ее из защитника и оплота Православия его гонителем, из противника Турции она в одночасье, по химерическим устремлениям большевиков, стала ее союзником и другом, более того, она уступила ей не только ПРАКТИЧЕСКИ ВСЕ территории, завоеванные русским солдатом, но даже и те, которые НИКОГДА ей не принадлежали - часть территории Восточной Армении, перешедшей к России по Туркманчайскому договору с Персией. И более того - она создала на землях, также НИКОГДА Турции не принадлежавших, второе турецкое государство - Азербайджан, ставший сейчас головной болью и для нас, и для самой России. А сам Н.Н. Юденич, впрочем, как и П.Н.Врангель, как и А.И.Деникин, как и А.В. Колчак, были объявлены ее врагами. События, происходившие на Кавказском фронте, по времени и месту, а также по составу участников имеют непосредственное отношение к Геноциду армян в Османской империи. Эти события, несомненно, прямо или косвенно повлияли на решение (нерешение) Армянского вопроса и сегодня нуждаются в новой актуализации ввиду необходимости прояснить военно-политическую обстановку, на фоне которой совершалось одно из самых кровавых преступлений прошлого века. Одержанные Юденичем на Кавказском фронте победы над превосходящими силами турок в Сарыкамышской, Евфратской, Эрзерумской, Трапезундской и других операциях в 1914-1916 годах каждый раз с восторгом встречались союзниками по Антанте. В Сарыкамышской операции (9-25 декабря 1914 года), открывшей боевые действия на Кавказском фронте, русские войска неожиданным контрударом разгромили наступавшую 3-ю турецкую армию под командованием военного министра Энвера-паши (начальник штаба германский генерал Ф.Бронзарт фон Шеллендорф). Энвер тогда чудом унес ноги; по иронии судьбы от плена его спасли армяне - солдаты турецкой армии. Бои шли на высоте более 2000м в условиях суровой горной зимы, непрекращающегося бурана, когда видимость ограничивалась буквально двумя шагами. Турки потеряли более 70 тысяч человек. К 23 января 1914 года у Энвера в армии осталось всего 12 тысяч боеспособных солдат. За Сарыкамышское сражение Юденич был награжден орденом св. Георгия IV степени и назначен командующим Кавказской армии в чине генерала от инфантерии. По мнению некоторых историков, турецкие власти организовали массовое уничтожение армян в качестве мести за поражение турецкой армии при Сарыкамыше, что не соответствует истине: события 1915г. были лишь пиком Геноцида армян, длившегося, с приливами и отливами, с 1870-х гг. до 1923г. и даже до 1936г. (резня армян, алевитов и курдов в Дерсиме (Тунджели). Летом 1915 года великий князь Николай Николаевич (командующий Кавказским фронтом) и генерал Юденич (командующий Кавказской армией) предприняли экстренные меры по предотвращению вступления нейтральной Персии в войну на стороне центральных держав (Германии, Турции и др.). На ее территорию из Закавказья был переброшен 8-тысячный кавалерийский корпус, а из Туркестанского военного округа выдвинут сводный казачий отряд. Эти превентивные акции русских сорвали германо-турецкие попытки склонить Тегеран и Кабул к войне против Антанты. За разгром "правого крыла" 3-й турецкой армии (около 90 батальонов) в Евфратской операции, закончившейся 30 июля 1915г., Н.Н.Юденич получил орден Св.Георгия III степени. Вершиной же воинской славы Юденича стала беспримерная в истории русского военного искусства времен Первой мировой операция - взятие крепости Эрзерум в 1916г., за которую Юденич был награжден Георгием II степени. В плен попали более 13 тысяч турецких военнослужащих. Крепость Эрзерум являлась единственным и сильно укрепленным районом на Армянском нагорье и в Малой Азии; 11 фортов, подготовленных к долговременной круговой обороне: многоярусные башни с крепостными орудиями до 50 стволов в каждом, окруженные глубокими рвами, и все это на высоте 2400 метров над уровнем моря. Один вид этой твердыни мог привести в уныние кого угодно, но не русских, для которых это было повторением пройденного. Наступление началось 28 декабря 1915 года. После месяца тяжелых боев русские войска 3 февраля 1916 года во второй раз овладели Эрзерумской крепостью. Этот успех, который в военной истории сравнивается со штурмом Измаила Суворовым, вызвал настоящий фурор. Перед русской армией открывался оперативный простор на Армянское нагорье и в Анатолию - центральные области Турции. Кавказская армия генерала Юденича продвинулись на 150 км. Турецкая 3-я армия была разгромлена полностью и потеряла больше половины своего состава: 66 тыс. человек убитыми и ранеными, 13 тыс. - пленными. Было взято 9 знамен и 323 орудия. Русская армия потеряла 2339 убитыми и 6 тыс. ранеными. Общие потери турок за кампанию составили 350 тыс. человек, из них 100 тыс. попали в плен. Взятие Эрзерума открыло путь на Трапезунд, который был взят в апреле, а позже, в июле, был взят Эрзинджан (Ерзнка). Русская армия глубоко продвинулась на территорию Западной Армении, практически всю ее освободив от турецкого присутствия. "От Эрзерума к Трапезунду. Наши доблестные кавказские войска, заняв Эрзерум и оставив его далеко позади себя, победоносно продвигаются вперед. Заняв 15 марта город Офь и форсировав реку Огене-дере, они вступили на плацдарм, изрезанный параллельно текущими в глубоких долинах реками и ручьями. Приходится вести атаки в очень глубоком снегу, преодолевая при этом большое количество горных расщелин. На этом плацдарме, прикрывающем подступы к Трапезунду, турки оказывают упорное сопротивление, но наши, сбивая врага, уже 24 марта перешли вторую реку - Кара-дере. Отбросив неприятеля за реку Каре-дере, наши войска подошли почти к самому городу Сюрмене и теперь находятся на расстоянии всего 28 верст от Трапезунда". Перед Черноморским флотом была поставлена задача оказать содействие приморскому флангу Кавказской армии в овладении Трапезундом. 23 и 24 января 1916г. корабли Батумского отряда ЧФ капитана I ранга М. М.Римского-Корсакова подавили турецкие батареи у р. Архаве, что позволило Приморскому отряду Кавказской армии (15 тыс. человек, 38 орудий) генерал-лейтенанта В.Н.Ляхова перейти в наступление. При содействии морских десантов 1 апреля отряд вышел к позициям турок на р. Кара-дере. 25-26 марта в Ризе и Хамургяне были высажены две пластунские бригады (18 тыс. человек, 12 орудий), переброшенные из Новороссийска на 22 транспортах под охраной отряда кораблей. Бригады высаживались под прикрытием кораблей Батумского отряда и авиации. 2 апреля Приморский отряд, усиленный пластунскими бригадами, овладел сильно укрепленными позициями турок на р. Кара-дере, а уже 5-го занял оставленный противником Трапезунд. В результате успеха Трапезундской операции была прервана кратчайшая связь 3-й турецкой армии с Константинополем. Организованные русским командованием в Трапезунде база легких сил ЧФ и база снабжения значительно упрочили положение Кавказской армии. Насколько продуманными были операции против Турции русских войск, настолько же неудачно действовали против нее союзники. С 19 февраля 1915г. англо-французская армада (18 линкоров, 12 крейсеров, 40 эсминцев) стала бомбардировать турецкие форты, начав Дарданельскую операцию с главной целью десантироваться на Галлипольский полуостров, овладеть Дарданеллами, Босфором и Константинополем. Несмотря на то что союзная армия в 550 тыс. человек имела двукратное преимущество, союзники потерпели сокрушительное поражение и вынужденно эвакуировали экспедиционные силы из Турции в Грецию, на Салоникский фронт. Не лучше обстояли дела и на Месопотамском фронте. 22 ноября 1915 года под Багдадом турецкая группировка нанесла сокрушительный удар по британским войскам, и те, осажденные в крепости Кут-Эль-Амар, в апреле 1916 года капитулировали. В итоге спустя некоторое время в Лондоне (май 1916 года) было заключено секретное соглашение (договор Сайкса-Пико), по которому союзники дали обещание России выполнить Англо-франко-русское соглашение 1915 года о проливах: присоединить к России Константинополь, проливы Босфор и Дарданеллы и примыкающие к ним районы европейской и азиатской части Турции, а также передать России области Эрзерума, Трапезунда, Вана, Битлиса (т.е. практически всю территорию Армении по Севрскому договору) и часть Курдистана. "В числе упомянутых в английском меморандуме пожеланий были еще следующие: устройство в Константинополе вольного порта для склада и провоза товаров, имевших назначение в страны Малой Азии и Юго-Восточной Европы, кроме России; оставление Аравии и мусульманских святых мест под независимой мусульманской властью; подчинение нейтральной зоны в Персии английскому влиянию путем пересмотра русско-английского соглашения 1907 года. На все эти пожелания лондонского кабинета, как и на те, которые были нам выражены г-ном Палеологом относительно уступки Франции Сирии и Киликии, русское правительство выразило свое согласие. Дальнейшая разработка и уточнение территориальных приобретений наших союзников за счет Оттоманской империи были произведены позже, в личных переговорах между мной и их особыми уполномоченными - сэром Марком Сайксом и г-ном Пико. В апреле 1916 года, по окончании этих переговоров и выяснении пожеланий каждого из членов Тройственного согласия, я сообщил в письме к союзным представителям в Петрограде о согласии императорского правительства на предъявленные ими требования о присоединении Англией Месопотамии и Францией - Сирии и Киликии под условием приобретения Россией в Малой Азии Эрзерума, Трапезунда, Вана и Битлиса вплоть до пункта на Черноморском побережье, который должен был быть определен при проведении новых границ. Часть Курдистана, лежащая к югу от Вана и Битлиса, должна была равным образом отойти к России, взамен чего Франция приобретала в Малой Азии значительную территорию с городом Харпутом. Вот в общих чертах соглашение, к которому пришло русское правительство с уполномоченными Англии и Франции в 1916 году". Ясно, что данное соглашение в части, касающейся России, не было выполнено, поскольку после октября 1917 года она из члена Антанты превратилась в ее врага. Россия не приняла участия также в разделе сфер влияния по итогам Первой мировой войны, зато, уже в большевистском статусе, заключила в 1921 году бесславные Московский и Карсский договоры с Турцией и тем самым не только утратила завоевания российской армии в Первой мировой войне, но и уступила геополитическому противнику территории, отвоеванные в течение всего XIX века. В этом контексте уместно заметить, что сегодня в российской прессе порой появляются опусы с экскурсом в 1918-1920 годы с намеком и упреком в адрес армян и лидеров Первой Армянской республики за их приверженность Антанте. При этом нарочито умалчивается (в расчете на неосведомленность читателя), что Российская империя сама была в числе стран Антанты. На чьей стороне тогда должны были быть армяне, если не на стороне доблестных генералов Деникина, Юденича, Краснова, Врангеля и других? (Вполне возможно, что среди причин, по которым большевики донельзя обкорнали Армению, отрезав от нее в пользу Турции, Грузии и Азербайджана (фактически - той же Турции) все возможное, не последнее место занимало и это обстоятельство: они не могли и не простили Армении союзничество с Белым движением и Антантой). И это в то время, когда большевики и эсеры в ожесточенных перестрелках выясняли, кто из них больше предан "мировой революции" и на каких условиях следует заключать Брестский мир. До сих пор турки оправдывают учиненную кровавую бойню в Западной Армении, называя ее "вынужденной депортацией" за приверженность армян Российской империи. Приведенные исторические события в контексте Армянского вопроса вызывают обоснованное чувство досады, поскольку вынуждают оценивать трагическое прошлое в сослагательном наклонении (если бы...), что считается некорректным. Однако с точки зрения постулатов геополитики устремления России в регионе Малой Азии остались прежними. Тенденции России по освоению "Византийского наследства" совместно с восточнохристианскими народами, а также восстановлению своего влияния на Евразийском пространстве по всем признакам сохранились. Более того, эти тенденции не могут угаснуть, поскольку геополитические тенденции нации и государства обусловлены совокупностью объективных и постоянно действующих внешних и внутренних факторов; временами они могут не совпадать с программными установками отдельных партий, лоббирующих группировок, политических доктрин и деятелей, однако результирующий вектор поляризации, как правило, сохраняет свою прежнюю направленность геополитических устремлений. ПОСЛЕСЛОВИЕ. Данная статья компилятивная, составленная по материалам русской прессы и российских аналитиков, в частности, ВН-Аналитик. Мои добавления и отдельные комментарии не меняют общей картины. Мы часто рассматриваем Армянский вопрос в отрыве от геополитической и военной ситуации на Армянском нагорье, между тем как при таком рассмотрении многое видится под другим углом. Материалы эти интересны еще и тем, что свидетельствуют об идущей сегодня в России серьезной "работе над ошибками", что неизбежно должно привести к переосмыслению роли и места России в Закавказье, ее отношений с Турцией и соседями по Закавказью. И еще: не нам указывать, кого самим русским считать героями, но для нас имена генералов Н.Н.Юденича, А.Н.Деникина, Врангеля должны стоять рядом с именами их боевых соратников - генералов все той же победоносной Кавказской армии М.Б.Силикяна, Т.О.Назарбекяна и других. Для всех них понятия "честь" и "Родина" совпадали и были превыше всего. May 26, 1918 marked a New Era for the Armenian people, era of Independence after more than five hundred years of subservient stateless existence. That day, the day of Battle of Sardarapat is the real Independence Day for Armenians. Therefore for us the words INDEPENDENCE and SARDARAPAT are nearly synonymous. Sardarapat is a small spot on the map of Armenia, spot that would have remained unnoticed if it hadn't become the symbol of the great victory, symbol of the glorious hour for Armenian nation, turning point in the modern Armenian history when we proved that we regain our capability to fight and win the battle. Sardarapat, village called in the name of wall built by the governor of a Persian province. Sardarapat… Sa – Ardar – Pat. This is a fair wall. So it sounds in translation from Armenian into English. Probably it was not just a coincidence that this battle took place exactly here. There is truth in it. Here people rose as a wall in the name of eternal truth, the freedom, in the name of life and independence. People remember their heroes. People remember everyone who stood shoulder to shoulder with the Armenians not sparing their life in the name of truth, and brotherhood. Speaking about Sardarapat let us first look at the theatre of operations where the miracle of Sardarapat became possible. During the first world war Russia waged successful military campaign against Turkey on the Caucasian front. Before ceasefire concluded in December of 1916 many cities of Western Armenia, such as Van, Sarikamish, Erzerum, Trapizond, Artvin, Bayazet were liberated. A little more and the Turks would have surrendered. But the destiny disposed differently. After the October revolution bolsheviks who came to power signed the Brest-Litovsk separate treaty with Triple Alliance states according to which the Russian armies were withdrawn from Caucasus. Territories liberated by the Russian army were to be given back to Turkey. Withdrawal of Russian troops from the Caucasian front (because of revolution more resembling exodus) began in December of 1917. 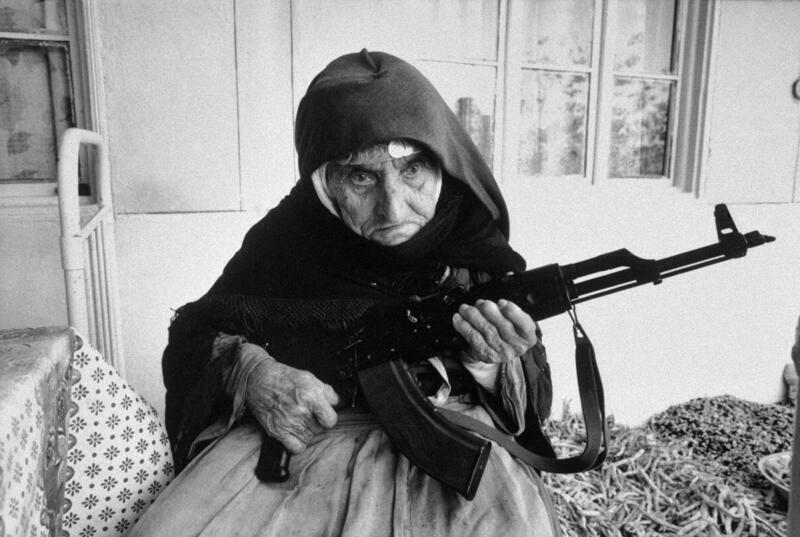 That was putting Armenians in terrible situation when extended frontline got defenceless. 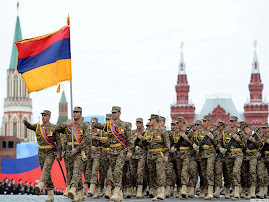 The Armenian army corps had been urgently formed with the active assistance and participation of Russian officers and soldiers. Many of them stayed in Armenia helping to defend the country. For example, during the period of Erzinjan fights and the battle of Erzerum the command over the first Armenian infantry brigade was carried out by Russian army colonel Morel. Despite the intense fights in the Western Armenia between Armenian forces and Turkish army Turks were rapidly advancing. Erzinjan fell on February 12, then followed Baiburt, and Erzerum. On February 24 Turks occupied Trapizond and Mamakhatun. The threat of Turkish invasion in Transcaucasia, beyond the line agreed in Brest-Litovsk Treaty, became very real. 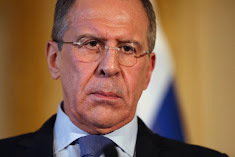 At that time Chicherin, Minister of foreign affairs of Russia, sent a telegram addressed to the German ambassador in Tiflis of the following content: "The Turkish army is advancing towards Batum, Kars, Ardahan, ravaging and killing the civilians. The responsibility for the further destiny of the Armenians is assigned to Germany, for the Russian armies were withdrawn from the Armenian areas at Germany's request. Now constraining the Turkish armies from usual excesses is up to Germany." Policies of Transcaucasian Federation's government resulted in loss of Kars. The chairman of Transcaucasian Federative Democratic Republic's government Mr. Chkhenkeli ordered Lieutenant-General Nazarbekov, commander of the Armenian corps, hand over the city to the Turks without fight for all that the general himself was categorically against that decision as his armies had a real opportunity to repel Turks' attack and to keep Kars fortress area for more than a month. The objections of the commander of the corps were rejected, and the city and the fortress of Kars that had all resources to stand against the enemy at least for a month was given up with almost no resistance. Then Turks occupied Alexandropol (Gyumri), and were advancing their large forces towards Karakilis and Erivan (Yerevan). The historical battle took place in the environs of Sardarapat, on the approaches to Erivan, where the Turks were stopped and defeated. 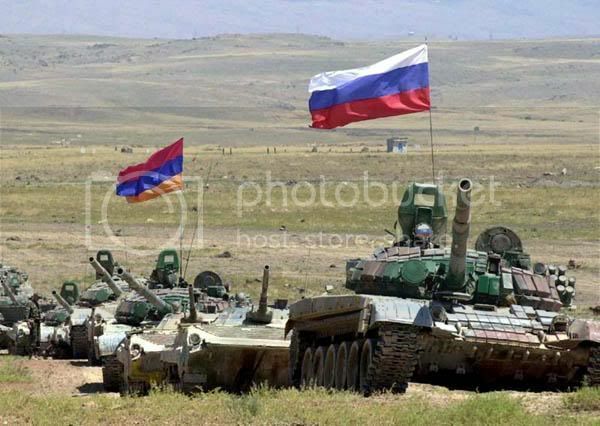 The Russians, Greeks, Yezidis fought together with Armenians. The hastily formed First special horse regiment under the command of Sergeant-Major Zolotarev fought with a special courage. (In Cossack formations the rank of sergeant-major was equal to the rank of lieutenant-colonel). 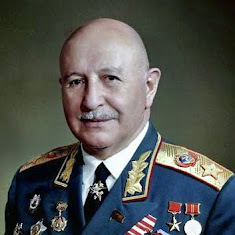 A famous Soviet commander Marshal Baghramian fought under Zolotarev's command who made Baghramian non-commissioned officer in the first squadron of the regiment. 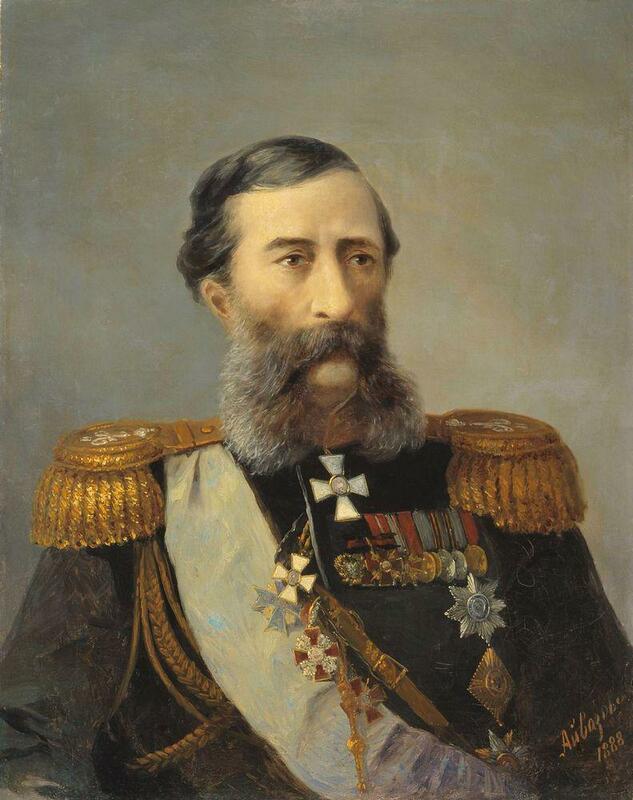 "He was an efficient, exigent and skilled commander", the marshal would write later about Zolotarev in his memoirs. Under his command in the battle of Sardarapat the regiment successfully attacked the Turks from the limits of the Kerpalu (Arshaluis) and Kerdukli (Armavir) villages, and destroying Turkish detachments advanced to the Kamishlu (Eghegnut) railway station and liberated the village and Sardarapat railway station. Partisan infantry regiment that consisted of the Cossacks and Armenians under the command of Colonel Perekrestov distinguished in the battle of Sardarapat. 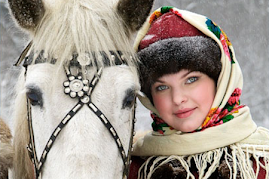 The Cossacks caught the Turks by surprise suddenly appearing before them. Captain Shneur was appointed the Chief of staff of Sardarapat detachment. Together with the commander of detachment, General Daniel Bek-Pirumov, he directly participated in the battle. One of the heroes of the campaign was General Movses Silikov, cadre general of tsarist army, and commander in chief of the Erivan group of the Armenian forces. Besides concentrating the main forces of the group in Sardarapat detachment he properly deployed them and ensured success of the whole campaign. Silikov, udin by origin, appealed to the Armenian nation calling all men and women to stand up for protection of their country. Marshal of the Soviet Union Ivan Baghramian in his memoirs wrote about Silikov: "I can not pass over in silence the outstanding merits of Major-General Silikov in routing Turks in the environs of Sardarapat in the spring of 1918. I am strongly convinced that Silikov was the most gifted commander among the Armenian generals of that time. 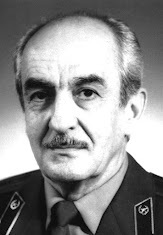 As other generals and the majority of senior Armenian officers, he did not know the Armenian language, and had no sufficient notion of the people, its fighting traditions and specific traits of the personnel in national army." Thanks to General Silikov the Sardarapat operation was carried out successfully. Three hundred yezid horsemen led by Jahangir agha also contributed to the victory, as did two squadrons of Russians who participated in the battle of Sardarapat under the command of Zemliak. Captain Bort headed the Armenian detached shock regiment created in Alexandropol. General Baratov, Lieutenant-Colonels Spitsin, Kafiev, Efremovich, Khmelnitskiy, Khelminskiy, Kablitskiy, artilleryman Ensign Klich, Captain Sakellary and many other Russian officers also participated in the battle of Sardarapat. Groups of volunteers were formed not only in Armenia, but also in Russia. 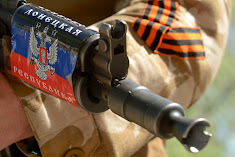 A regiment of 500-600 bayonets under the command of Colonel Samartsev, part of Andranik's division operating on Karakilis line, was sent to Khnus front. Among those who arrived from Russia to fight against Turkish aggressors, there was also Siberian Armenian company. In March, 1918 in Tiflis Andranik took command over the company which later became a part of the Armenian detached shock regiment. Three brilliant Russian officers were among the staff of the company. Lieutenant Kolmakov, one of its commanders, wrote in detail about this company in the series of articles titled the "Historical Armenian company." Articles were published in 1919 in several issues of "Nashe Vremia" Baku newspaper. 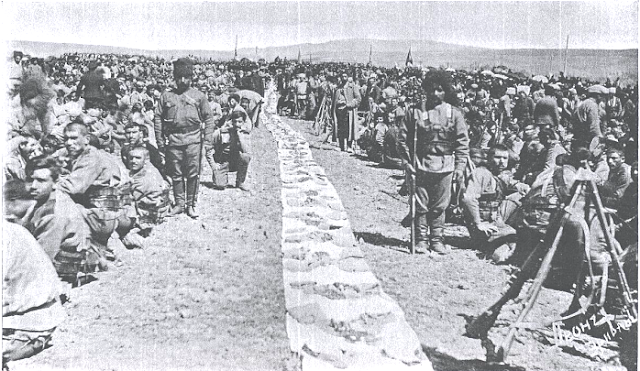 "It was a company of 210 Armenian prisoners of war, - writes Kolmakov,- voluntarily surrendered to us in fights with Turks and for unknown reasons evacuated by our government to Siberia, as if in gratitude for their sympathies to Russia." Kolmakov, a Russian patriot fond of the Armenian people and appreciating its fidelity to Russia voluntarily joined the company and arriving in Tiflis joined the formed regiment. Later he joined Andranik's detachment. Kolmakov participated in many battles, he was fighting side by side with Andranik. He wrote: "Andranik's detachment was encircled, Turks had captured the railway station. It was extremely dangerous situation but someone had to stop Turkish attack and ensure the evacuation of civilians from Kazanchi, Shnshtap, Chiftali, Guyullibulakh and other villages where fierce fights were going. 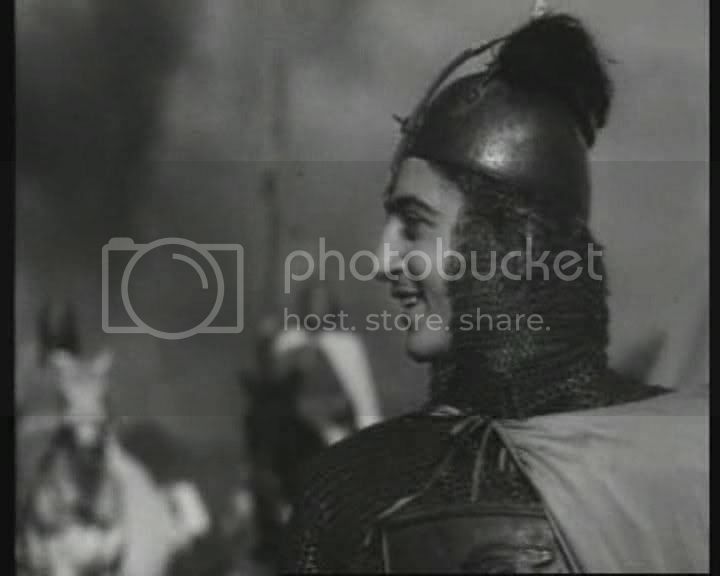 Andranik himself on a lathery horse headed the fight with a naked sabre. Having slightly reined in the horse, the general commanded: "Forward! Follow me! Hurrah!" And he galloped forward fearless as always. We followed him. The Turks rained bullets and shells, but that could not stop us: Andranik was with us. There was Turkish cavalry. It couldn't endure our raid and ran away in panic. Turks were defeated. But Andranik didn't pursue them for a horde of Turks still approached us both from the front and flanks. He ordered all villages to evacuate for our group of three thousand fighters had to occupy a part of the front several thousand versts wide". The days of the battle of Sardarapat, Andranik's division took up the main thrust of the Turkish army protecting a part of Karakilis-Tiflis road. He held the forces of Vekhib pasha who was intending to transfer the forces to Sardarapat. The Armenian army had to repulse also newly formed Azerbaijan Republic attacks that hankered after the Armenian lands. It is necessary to note here the outstanding role of General Denikin. Azerbaijan and Georgia on June 16, 1919 concluded a treaty against Denikin's Voluntary army and Armenia. In reply Denikin concluded a secret military pact with Armenia. The Republic of Armenia with its forces formed the 7th corps of Denikin's army. On September 9, 1919 Commander-in-Chief of the Armed Forces of the South of Russia issued an order: "In view of hostile attitude of the Azerbaijan authorities to the Russian army and in view of perfidious encroachment of the Azerbaijan armies upon Armenia's lands I command all officers of the Russian service in the Azerbaijan Army to leave the ranks of that army." In 1919 Armenia was supported practically only by the Voluntary army. Denikin sent to Erivan some arms from his poor stocks. The hope for restoration of united Russia didn't abandon the Armenians and the Dashnak government did its best to help Denikin's army. After gaining independence Armenia didn't receive the expected support from England, thus the idea of American support came to the fore. President Woodrow Wilson promised to help but the Senate counted up the possible expenses and decided that supporting Armenia would cost American tax-payers 151,2 mln pounds within 5 years. That was too costly, and in reply to Wilson's appeal to their humanism the senators answered: "We don't want to get involved in European affairs even for humanitarian reasons". In 1920 after the defeat of the main forces of Denikin Army Armenia again remained face to face with the Turks. The indifference of the Entente states to the destiny of Armenia amazed Russian emigres. 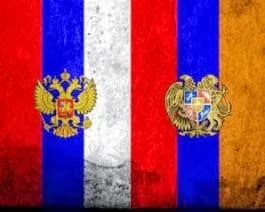 "Even Bolshevik Russia is a better protection for Armenia than their official patrons from the Entente", wrote Miliukov. History repeats and teaches us time and again. At the beginning of the century we were unable to reap the fruits of our victory. The events of 1917-1920 should make many our politicians look on current events with a different perspective. Similarities are striking. Those who fought and shed their blood for the Armenian independence forever will remain in the memories and the hearts of grateful Armenians. From generation to generation their names will exemplify the heroism, humanism, true brotherhood, and genuine internationalism. Israel Ori, Davit Bek, Mkhitar Sparapet, Valerian Madatov and Mikhail Loris-Melikov are some of the greatest names in Armenian history. The aforementioned individuals were unique in that they were also noble men, both in demeanor and decent. They were in essence remnants of Armenia's ancient aristocracy that was still surviving in the 17th and 18th centuries in the mountains of the south Caucasus. 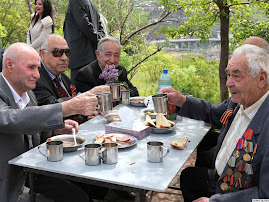 These men exhibited rare traits that have all but been eradicated from modern Armenian society (thanks in large part to Bolshevism of yesterday and Globalism of today). They were noble men of tireless action, immense courage and great political foresight. These men ultimately became responsible for the creation of an Armenian nation-state in a region utterly saturated and infested with Turks and Muslims. These men laid the very foundations of the Armenian nation in the Caucasus. 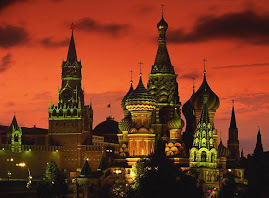 One other common trait found within these great men in our history was their intimate connections with Imperial Russia. Before the Russian Empire's invasion of the south Caucasus in the 19th century, the region in question was a very different place. In early 19th century, the Khanate of Erevan (Persian controlled Yerevan) is said to have had 89 Mosques and 7 Armenian churches. Even as late as the 19th century, the current Armenian capitol was inhabited by several thousand Armenians and tens-of-thousands of Muslims. How did the Islamic face of Armenia change? Armenia gradually began to shed it's Islamic/Turkic facade as a result of actions taken by the great 17th century Armenian statesman, Israel Ori, and due to the courage of great military leaders like David Bek and Mkhitar Sparapet. These men secured military support from Imperial Russia during the early 18th century and by doing so managed to defeat Persian and Ottoman forces in a series of battles throughout the south Caucasus. Their actions set the very foundations of Armenia's eventual rebirth in 1918. A after hundreds of years of living under Islamic occupation, a segment of Armenia's native population was finally able to shed the yoke of Islam. 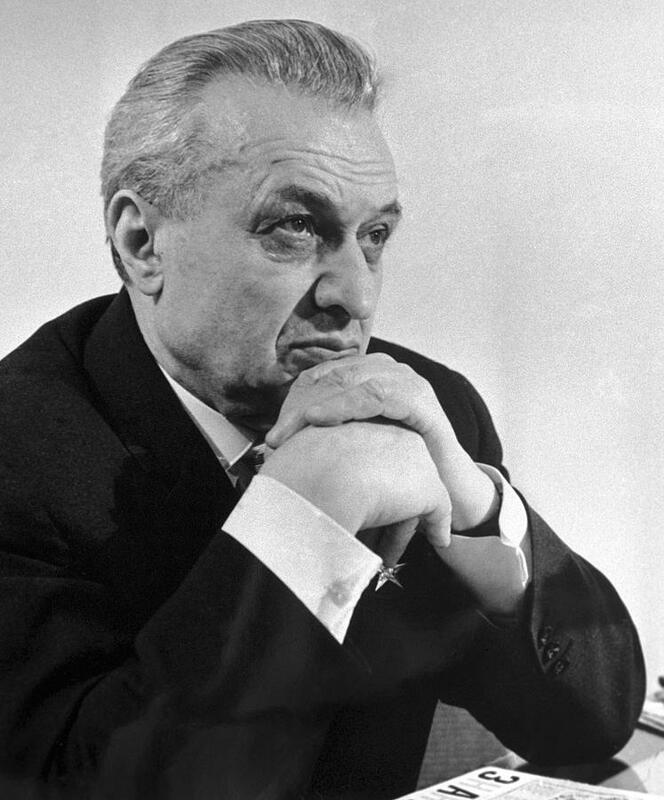 I'm going to briefly deviate from the main topic of discussion for a point I would like to make: How did Armenians thank a great patriotic war hero like Mkhitar Sparapet? Armenia's peasantry at the time thanked him like how Armenia's peasantry has thanked its leadership during ancient times and like how they wish to thank them today - they murdered Mkhitar Sparapet, cut off his head and sent it as a reconciliation gift to the Turkish Pasha of Tabriz. Looking at our diverse self-destructive peasantry from the Diaspora to the "opozitsia" in Armenia today, I'm afraid not much seems to have changed in Armenian society. 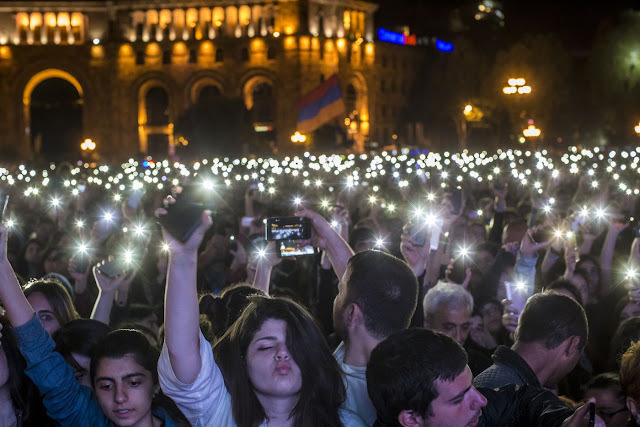 If given the opportunity, there are significant numbers of Armenians today that would more-or-less do the same to Armenia's current leadership. Unfortunately, genetic traits are a major determining factor in human behavior. In fact, genes predetermine society/culture. We Armenians have yet to be cleansed of our self-destructive gene. I'd like to further add that the descendants of those that murdered Mkhitar Sparapet; the decedents of those that betrayed Armenia's nobility throughout our history; the decedents of those that deposed Armenia's native kings; the decedents of those that preferred to live under foreign occupation; the decedents of those that preferred Ottoman rule over independence - are us. We Armenians today are by-in-large decedents of our history's self-destructive peasants, cowards and traitors and, in some cases, regional lesser-peoples that were assimilated into our nation. This is the predominant genetic/cultural lineage present within many, if not a majority of Armenians today. In demeanor and in mindset, many Armenians today are much closer to the Bazaars of Istanbul and Baghdad than to the class of warriors and priests of the ancient Armenian Highlands. Although an Asiatic gene has crept into the bloodstream of our nation, a noble gene derived from our ancient ancestors dwells somewhere within us as well. Armenians need to seek out this trait within them. Mkhitar Sparapet's life and death should be a profound lesson to us all. And when from time-to-time noble creatures are born to us, we need to learn to recognize them and appreciate them. Back to the main topic. By 1828, the Czar's imperial forces had conquered much of the south Caucasus. And by liberating the region from Islamic rule, the Russian Empire thus became the very catalyst upon which the region's Armenians were eventually able to realize their potential. Imperial Russia put in place various institutions that Armenians would begin taking advantage of. As a result of these changes in the region's cultural/political climate, the region's Armenian peasantry gradually began producing large numbers of scientists, intellectuals, writers, academicians, musicians, generals and statesmen. 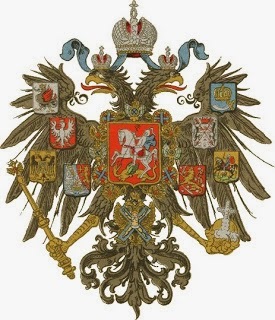 It is also important to note here that Armenia's nationalistic movements was also in large part made possible by the presence of the Russian Empire in the Caucasus and by the Armenification program that had been started in the region by the famous German-Russian Czarina, Catherine the Great. Imperial Russia actively encouraged Armenian nationalism during the second half of the 19th century. This effort helped give rise to Armenia's political parties, two of which are active to this day. What's more, Armenia's greatest war heroes of the 19th and 20th centuries were all trained by imperial Russia. Nevertheless, by the early 20th century, the numbers of Christian Armenians had grown considerably in the present territories Armenia. Therefore, text time Armenians feel that the strong, self-destructive urge to claim that Czarist Russia wanted "Armenia without Armenians" (which may/or may not have been the sentiment of a regional official during the turn of the 20th century, a sentiment that was a result of the active cooperation that was taking place at the time between Armenian nationalists and socialists that were plotting the overthrow of the Czar), they should instead shut their mouths, pull their heads out of their asses, take a deep breath and look at the big picture. After the incorporation of the [Erivan] khanate into the Russian Empire in 1828, many Muslims (Azerbaijani Tatars, Kurds, Lezgis and various nomadic tribes) migrated to Persia, and were replaced with tens of thousands of repatriated and resettled Armenians from Persia. Such migrations, albeit on a lesser scale, continued until the end of the 19th century... 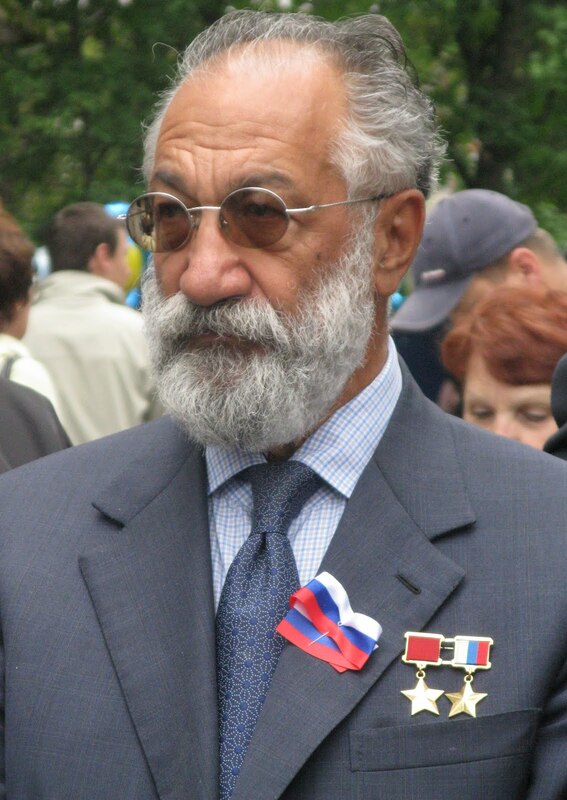 The Russian authorities allowed and encouraged Armenians living in Turkish and Persian territory to migrate into Russian territory - about 49,000 subsequently settled in the Armenian Oblast. Armenian captives who were moved and lived in Iran since 1804 or even as far back as 1795 were permitted to return, which permitted Armenians to regain plurality. No matter how one chooses to look at it, the fact is that we have an Armenia today simply because of the Russian factor in the region's recent history. We have had great men such as Mikhail Loris-Melikov, Valerian Matadov, Israel Ori, Davit Bek, Mkhitar Sparapet, Garegin Nzdeh, the Orbeli family, Aram Khachaturyan, Artem Mikoyan, Arno Babajanian, Hovannes Tumanian, Khachatur Abovyan, Hovhannes Baghramyan, Alikhanian brothers, Aram Hambartsumyan, Hovhannes Ayvazovsky, to name only a few - simply because of the Russian factor in our modern history. The Russian occupation of the Caucasus allowed the Armenia's merchant and peasant classes to finally develop their natural, God given talents within all field of modern civilization. Simply put, had the Russian not come down to the south Caucasus and Anatolia starting in the early 19th century; had Christian Russia not been a safe refuge for a great many Armenians for several centuries - we Armenians today would in all likeliness still be living stateless in eastern Turkey and northern Iran, not much unlike Kurds and Yezdis. Had Bolshevism not destroyed the Russian Empire, there would not have been an Armenian Genocide and Armenian populated lands would have at the very least reached as far west as Van. Despite its evils, even the Soviet Union eventually proved to be a savior for Armenia. And the reborn Russian state today continues to ensure the very existence of the Armenian state in the violent Caucasus. These are the realities of how Armenia was reborn as a nation in the Caucasus, this is the reality of how Armenia continues to preserve its statehood in a region as hostile and as unforgiving as the Caucasus. I dare any self-respecting Armenian to imagine the Caucasus without a Russian presence. No Russia in the Caucasus means no Armenian in the Caucasus. As long as Turanians, Islamists and Western interests threaten the Caucasus, Armenians should thank God for the existence of a powerful Russia in the region. Fore the foreseeable future, the Russian nation will be the only safeguard for the small, landlocked and embattled Armenian nation. 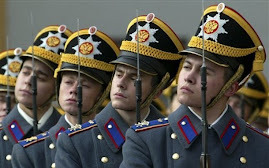 Consequently, how can I not admire Russians? How can I not be thankful for all that the great Russian nation has done for us Armenians going back to the 18th century and for all that they continue to do for us today? I pray to God that the centuries long alliance between the Armenian nation and the Russian nation continues for centuries more. After the Armenian and Russian national anthems were performed, the Presidents welcomed the guests and the Gyumri residents. 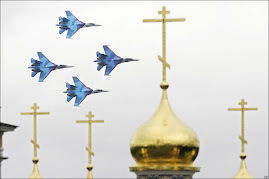 The Presidents’ speeches were followed by a pray for the repose of the Russian servicemen’s souls. The Hill of Honor is a cemetery founded on the order of Commander of the Caucasus corps, General Nikolay Muravyev in 1856. An orthodox church was later built there. Consecrated in 1886, the church has been preserved. The Russian President and his wife arrived in Armenia on August 19. On arriving in Yerevan, the Russian leader headed for the Memorial to Armenian Genocide victims. He laid flowers at the monument. 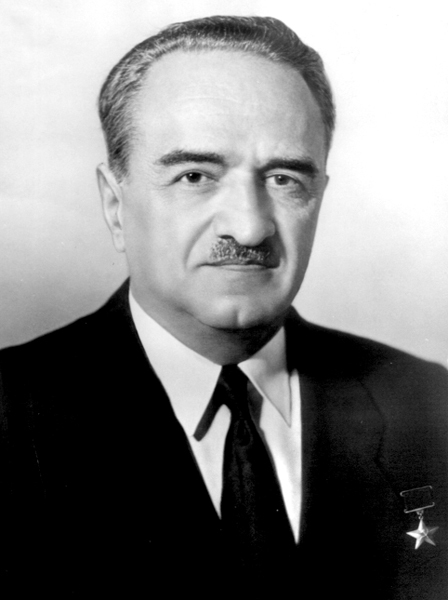 On August 20, Armenian-Russian negotiations were held. The CSTO’s informal summit has opened in Yerevan. An opening ceremony of the Hill of Honor was held in Gyumri. The memorial was opened on the burial place of 156 officers of the Russian army killed during the Russian-Turkish wars in the 19th century. 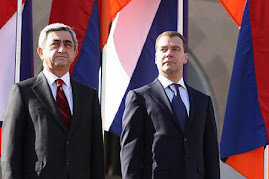 Participating in the ceremony were the Armenian and Russian Presidents, Serzh Sargsyan and Dmitry Medvedev. 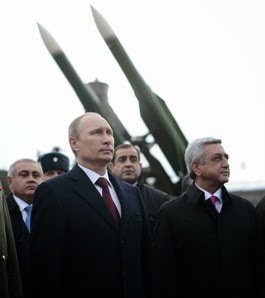 The Armenian and Russian leaders laid a wreath at the memorial, a NEWS.am correspondent reported. It is a sculpture is a soldier mourning for his killed comrades-in-arms and an eagle over the soldier’s head with the Turkish flag in its talons.